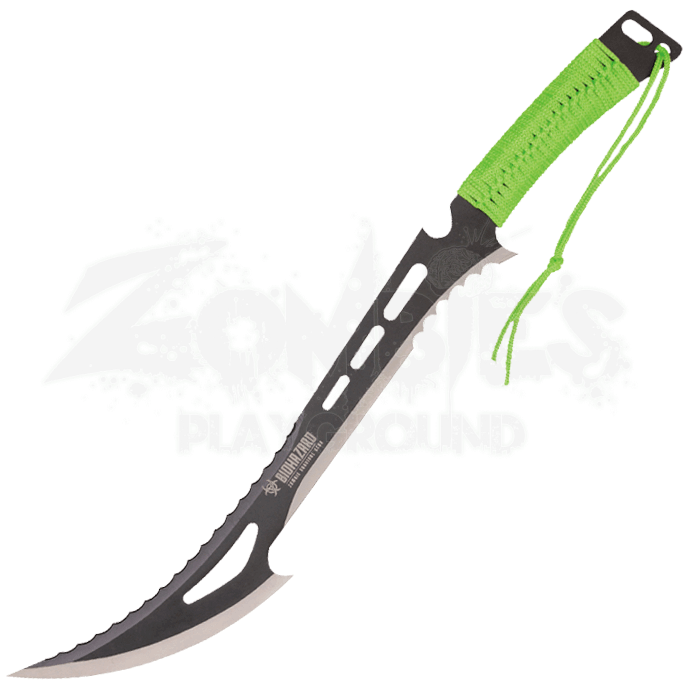 The Green Paracord Biohazard Machete provides the versatility and power necessary to tackle daily survival tasks and undead visitors in a post-apocalyptic world. 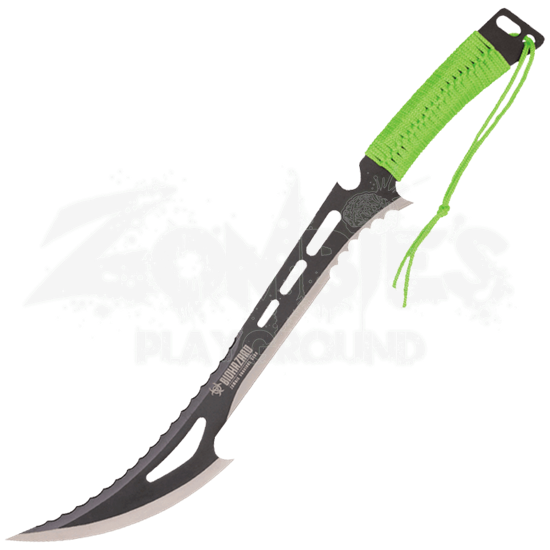 The fierce-looking blade is sure to impress fellow zombie enthusiasts. Cutouts lighten the weight and enhance the balance of this survival machete. A full tang blade strengthens its power, and saw tooth serrations increase the functionality. A black finish covers the body while the curved edge maintains its stainless steel gleam. The neon green paracord wrap not only supports a steady hand but also enhances its visual appeal. A matching lanyard and black nylon sheath are also included.